It is also a very family orientated town which has lead to Morzine becoming a very popular destination for families with children of all ages. Not surprisingly the amenities within the town are the focus for many of the smaller villages surrounding Morzine. These include around 3000 residents, 60 hotels, 47 restaurants, 20 ski shops, three discos, two cinemas, many bars, several tennis courts, an Olympic sized swimming pool (outside, with an indoor swimming pool due to be completed in 2011) and an ice-skating arena. 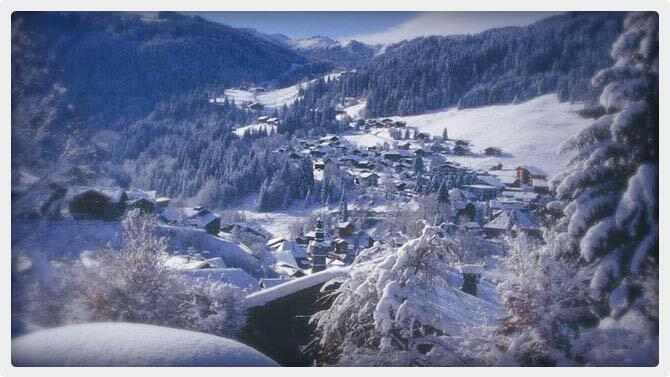 Morzine offers buyers the strongest rental market as its an all year round French destination. With all of this it is not surprising that property prices here are some of the highest for the area. However there is a good selection of chalets to apartments to suit all requirements. If you were thinking of renting for part of the year then Morzine does have the strongest rental market. Whilst winters at present offer the best rental return period the summers are becoming increasingly busy as Morzine firmly establishes itself as an all year round destination. A free train around town if your legs have packed up! Both cable cars are open for the summer season for ease of access to the mountain top meadows. In fact 24 lifts are open for cyclists and hikers to access all parts of the mountain. Indiana parc, an adventure area suspended from the trees. Interested in buying properties in the Morzine area? We have a great selection of properties to buy and properties to rent.